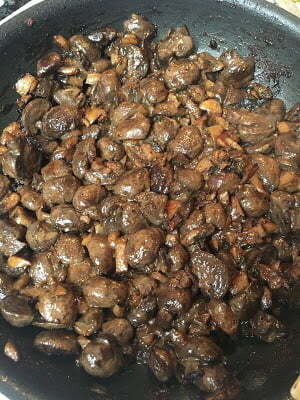 Mushroom Duxelles sounds very fancy and complicated; however it is quite the opposite. 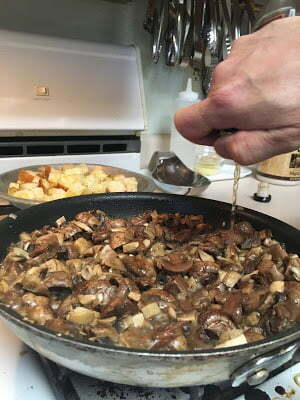 As Chef Husband turned up the heat on the stove, he would pass me the baton (knife) to rough chop the mushrooms. Into the sautée pan went the butter, which melted and bubbled over medium-high heat. In went the chopped onion and chopped fresh garlic. 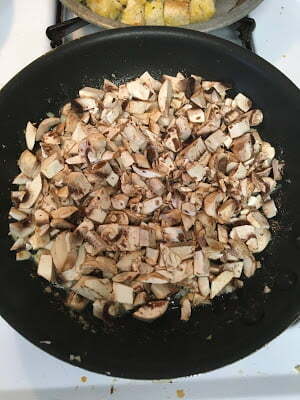 In went the fresh mushrooms (a lot since they will cook down quite a bit). As the mixture cooked down, a drizzle all-around of brandy (trick: put your thumb over the mouth of the bottle to control the flow). Just before the mixture began to reach becoming dry, in went a generous pour of heavy cream. As the whole mixture reduced and thickened, a final finish of salt and pepper to season. A bit of fresh herbs, such as thyme, could have also been included, but oops they were used up the other day. 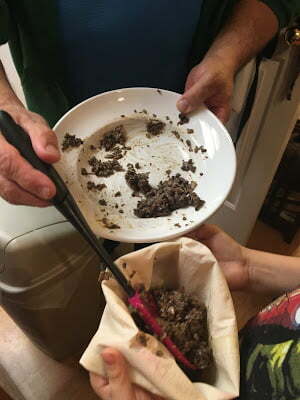 From there, the mixture went into the food processor for about a dozen pulses and voila, we had Duxelles. 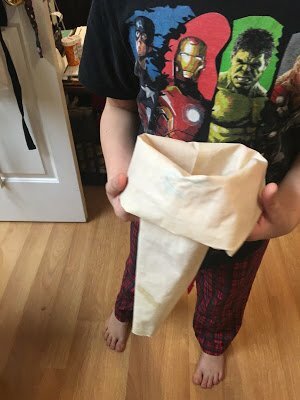 Chef Husband and his assistant, Little Chef (Isaac) would go on to place the mixture into a pastry bag, ready for stuffing pork chops for tonight’s dinner. Nevertheless, homework called and Chef Husband would graciously finish up dinner. Learning to work with a boning knife and prep the chops will have to wait til another day.